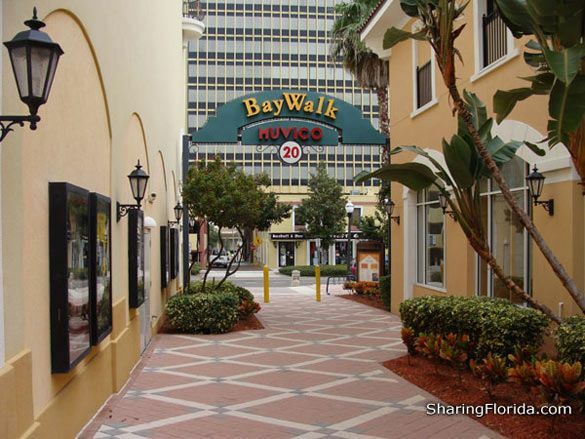 BayWalk entertainment complex, located in downtown St. Petersburg, opened in the fall of 2000. 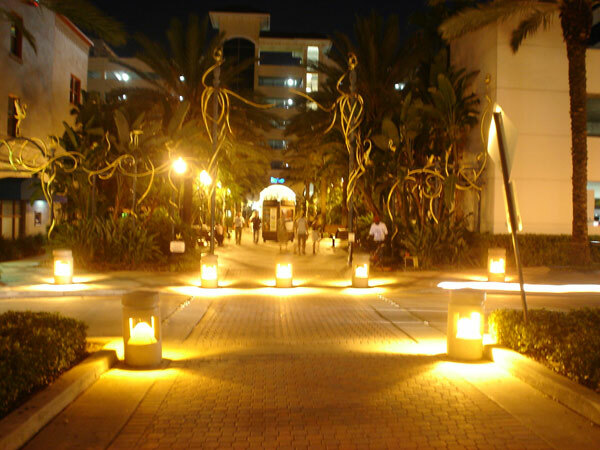 This beautifully landscaped outdoor plaza has become a popular spot for people of all ages. In the heart of this plaza is the Muvico BayWalk 20 movie theater which offers 20 screen theaters with stadium seating, and it uses IMAX. This complex offers several specialty stores. 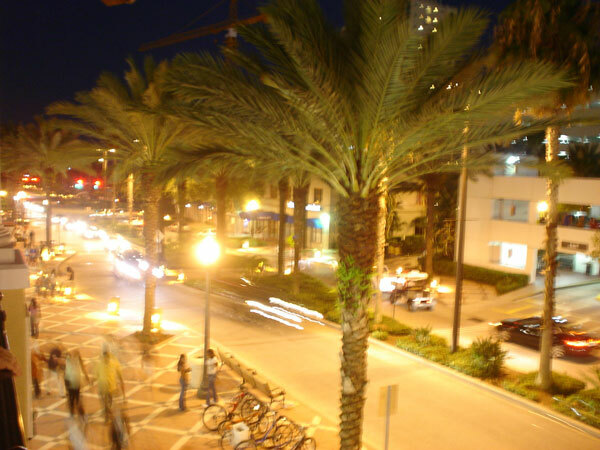 On the second level at BayWalk is Wet Willies, which offers some delicious frozen daiquiris ranging from the typical strawberry daiquiri to the Call A Cab daiquiri, just remember to have a designated driver after consuming these delicious drinks, or hang out at the Starbucks around the corner.